Pete Murray is an Australian singer-songwriter whose second album Feeler released on 21 July 2003 went to number one on the Australian charts on 29 March 2004 and has so far achieved six time platinum status. The third single "So Beautiful" has made the Australian top ten in the singles charts in 2004. 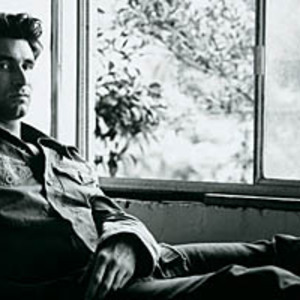 Pete Murray was also nominated for two ARIA awards in 2003. In 2005 he released the album See The Sun with the lead track "Better Days", followed shortly after by "Class A" and most recently "Opportunity." In 2005 he released the album See The Sun with the lead track "Better Days", followed shortly after by "Class A" and most recently "Opportunity." His third album, Summer at Eureka, was released on the 17th of May, 2008. On 26th May, 2008 it achieved #1 status in Australia, becoming his third consecutive #1 album. The first single of the album has been You Pick Me Up and reached #47 on the Australian Charts. Pete's fourth studio album Blue Sky Blue was released on 2nd September 2011 and debuted at number 6 on the ARIA albums chart. The first single Always A Winner was released on the 10th June 2011. The video features a James Bond type theme. The second single Free was released in September 2011 and spent 2 weeks at #50 in the ARIA singles chart. The video for 'Free' features clips taken during his 2011 tour of Brazil.